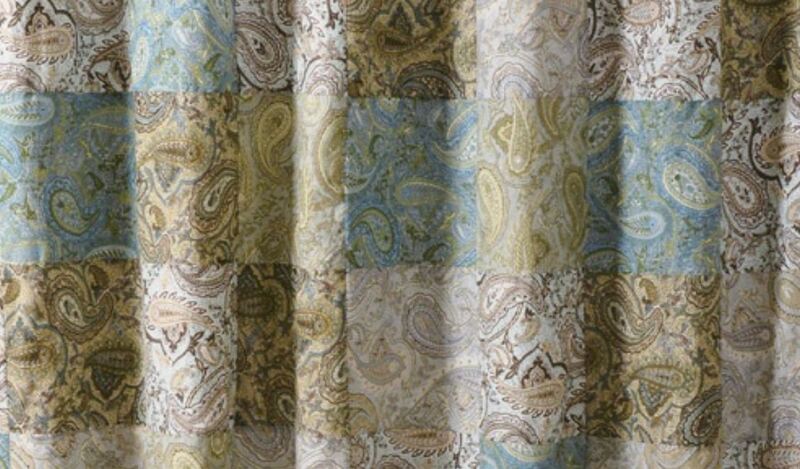 Fashion forward colors in paisley prints combine the easy care of 100% cotton with vintage styling. 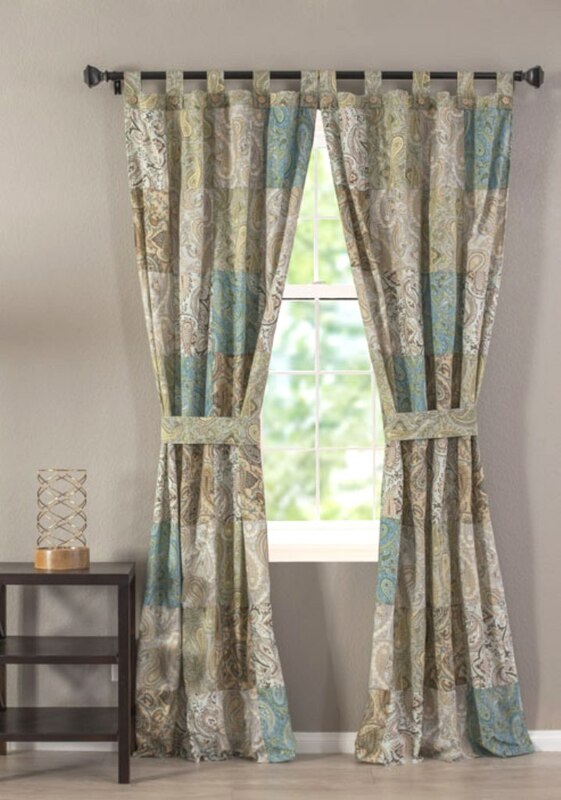 This patchwork tab top patchwork panel pair is perfect for any window. 100% Cotton face and back (two ply). Dimensions: Approx. 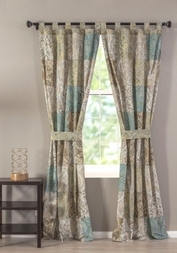 42" wide x 84" long each, plus two tie backs, 3" wide x 24" long each.